Your Canvas Valley Forge apartment is smack dab in the middle of an area filled with history. Valley Forge was central to the Revolutionary War, which won America its freedom, and is located right near Philadelphia, considered the birthplace of the nation. It would only make sense for the area to go all-out on the most patriotic day of the year—and it does! From historical events to community celebrations, the 4th of July is a great opportunity to gather with friends and family in the King of Prussia and Valley Forge areas for a day-long holiday outing. Here are just a few of the standout ways to celebrate this year. Don your red, white and blue and we hope to see you out there! 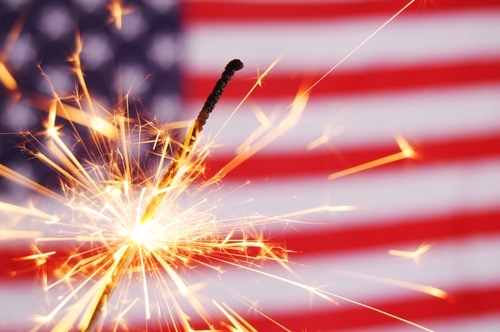 Wilson Farm Park: Tradyffrin Township’s official 4th of July celebration is held annually at Wilson Farm Park, about 2.5 miles from your Canvas Valley Forge apartment. The Chester County Concert Band will play from 7:15 p.m.-9:15 p.m. while visitors peruse local vendors and food markets (or enjoy their own picnics!). Fireworks will start at dusk. Community Picnic in the Park: There’s no better place to celebrate America’s independence than at an area that once hosted a Revolutionary War encampment: Valley Forge National Historical Park, 1.5 miles from your Canvas Valley Forge apartment. On Independence Day, the park features a community cook-out, live music, colonial-era games and activities for kids of all ages, trolley tours of the park, a kids’ parade and much more. Grab the family and celebrate history on this historic day! Washington Memorial Chapel: The 58 bronze bells at the chapel, 1.5 miles from your Canvas Valley Forge apartment, will toll at 2 p.m. with patriotic music. The chapel is a monument to President George Washington.